BANGI, 14 Nov 2012 – A cross-sectional study has recommended that the public including secondary school students and their parents needed to be educated and told about cervical cancer, the third most common cancer in Malaysia and its prevention. 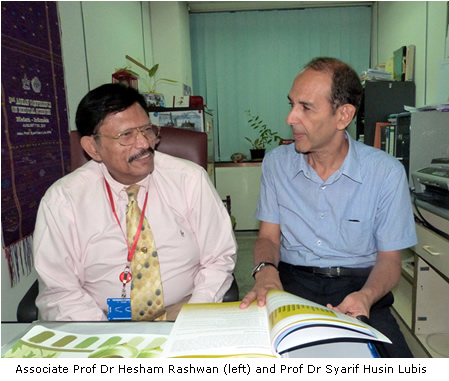 Associate Professor Dr Hesham Rashwan who undertook the study in 2010 together with Professor Syarif Husin Lubis and Kiat Aun Ni of The National University of Malaysia (UKM) wanted to determine the knowledge level and awareness of students on cervical cancer and its prevention which is also prevalent worldwide. Dr Hesham was then with the Faculty of Pharmacy of UKM while Prof Syarif is with the Faculty of Health Sciences and Kiat, now a pharmacist, was then an undergraduate pharmacy student. He said the study carried out among students in two schools in Miri, Sarawak showed they had poor knowledge of cervical cancer and its prevention and low HPV (human papillomavirus) vaccination acceptance. They were also wary of the side effects of vaccines used in the prevention of the disease, HPV vaccination and routine Pap smear testing though they are the best preventive measures. Dr Hesham said cervical cancer and HPV education should be introduced and encouraged in secondary schools just as awareness programmes be carried out at community centers as well as through the mass media. Such educational measures are especially important in the rural areas and can lead to a reduction in the prevalence of the disease in future. The findings was published in the Asian Pacific Journal of Cancer Prevention, 2011 with the title “Knowledge of Cervical Cancer and Acceptance of HPV Vaccination among Students in Sarawak, Malaysia”. The study was to determine the knowledge level of secondary school students in Sarawak regarding cervical cancer and its prevention. Multistage random samplings with various methods was carried out through various steps in selecting the sample of 76 students. It also found that students knew more about cancer if their mothers had higher levels of formal education. Parental influence on adoption of health-related behaviors by adolescents has also been described previously. “Thus educating the parents toward prevention of cervical cancer by government, non-governmental organisations and media can enhance knowledge of the disease and may lead to greater acceptance of preventive measures,” Dr Hesham said. The study also found that parents are the most common source of cervical cancer information followed by the mass media. He said schools in Sarawak can also play a bigger role in raising the awareness while enhancing willingness to accept prevention of both students and parents by organising cervical cancer awareness programmes in collaboration with health authorities and relevant academic institutions. On the students’ unwillingness to accept HPV vaccine, he said the main barrier mentioned by students was its side effects, efficacy and safety. Thus future educational and awareness programmes should emphasize on the safety and efficacy of HPV vaccines. Information on where to get vaccinated should also be dessiminated as not knowing where to get HPV vaccination was the second main barrier. The public also needed to be informed that the best time for vaccination is before sexual debut and that the vaccines are most effective at the age of 10 to 14. Dr Hesham said an earlier study showed that 99.7 % of cervical cancer cases were caused by HPV, mainly high risk oncogenic HPV 16 and HPV 18. The two HPV types were detected in 88% of cervical carcinomas in Malaysia. HPV infection is also the most common infection among young and sexually active individuals. The primary method of prevention of cervical cancer now is the HPV vaccination. The available vaccines are highly effective in adolescent girls especially if administered to them before they engage in a sexual activity. A secondary preventive method is the Pap (Papanicolaou) smear test, however most Malaysian women do not perform regularly Pap smear test. The government has since 2010 decided to give free HPV vaccination to 13 years old female students with the consent of their parents. The cross-sectional study was carried out among form two and form four students of Sekolah Menengah Kebangsaan Lutong and Sekolah Menengah Kebangsaan St. Columbia in Miri. Most of the respondents (67.8 %) had low socioeconomic status, the majority of whom were Malays with 53.3 % of their fathers and 61.9 % of their mothers having at least primary education. 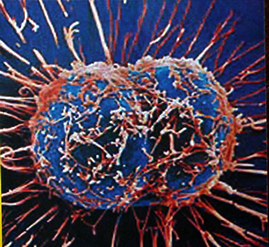 The results showed 61.8 % of students exhibited poor knowledge level for both cervical cancer and its prevention, 31.6 % and 6.6 % had intermediate and high level of cervical cancer knowledge, respectively and 22.4 % and 15.8 % demonstrated intermediate and high level of knowledge on prevention of cervical cancer, respectively. Most of the respondents (60.5 %) had heard of cervical cancer. Chinese and form four students exhibited the highest level of awareness obtaining them mainly from their parents (25.9 %). Other sources of information were mass media (21.5 %), friends (17.0 %), school (14.8 %) and internet (14.1 %). Only 3.9 % of the students surveyed reported that they had taken HPV vaccine, 18.4 % showed intention to get the vaccine and 77.7 % were undecided or unwilling to take the vaccine. “Malays and Chinese students exhibited higher knowledge of cervical cancer and its prevention than the Sarawakian indigenous respondents. Malay students in this study had higher socioeconomic status. “This might be a factor for their higher cervical cancer knowledge because this study also revealed that the socioeconomic status was associated with the prevention knowledge. “Other studies also showed limited knowledge of cervical cancer and its prevention among low socioeconomic status women. This is due to the observation that family income is the strongest predictor of total health care access,” said Dr Hesham. Results from the study also showed that there was association between cervical cancer awareness and prevention knowledge. Chinese students who had higher awareness demonstrated higher prevention knowledge than the others. However, they were more concerned about prevention knowledge but not seeking more information regarding the disease. Another study also revealed that Chinese Malaysian university students had higher prevention knowledge than other races. This is because they had higher prevalence of cervical cancer and highest cervical cancer awareness, thus they would be more concerned about cervical cancer than other races and seek more prevention information. “Students with tertiary educated fathers or mothers demonstrated higher cervical cancer prevention knowledge compared to those with less educated ones,” Dr Hesham said.